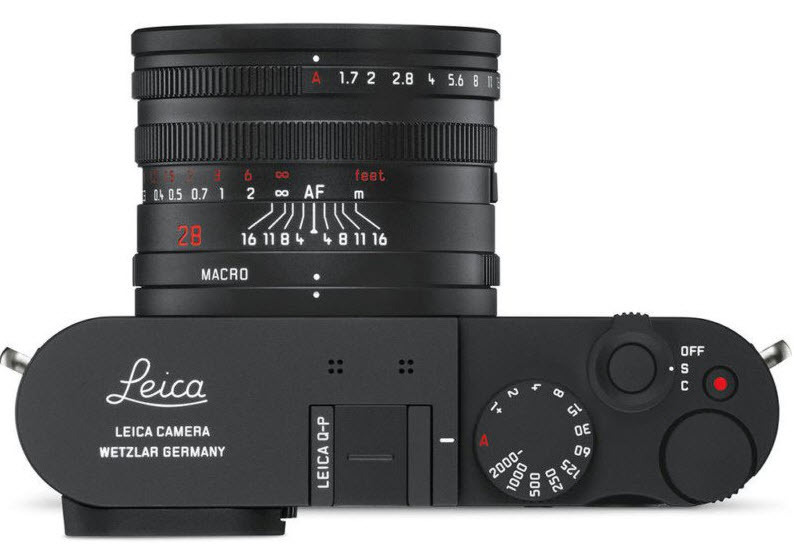 After all those rumors, the Q-P camera was just announced by Leica. Even though the new model does come with similar specifications to the Leica Q, this one doesn’t come with the famous Leica Red Logo. What’s to know about the Leica Q-P camera? Leica is all about design, craftsmanship and experience. It’s both about art and engineering and the future of both functionality and form. Leica Camera is a premium-segment manufacturer of cameras, but also creates sports optics products. Founded on a long tradition of high performance and quality of cameras and lenses, the Leica brand is truly a legendary name in the world of artists and photojournalists around the world. Build on the praised technical qualities of the Leica Q, the new model stands out with a classy black body and better tactility. The matte black exterior, high imaging performance and slim design turn the Leica Q-P into a camera that has better ergonomics and tactile feedback for the user. You’re not going to miss the Leica red dot logo on the front as you’re going to appreciate the classic script engraving on the top plate instead. This only makes the camera look a lot simpler. We notice a redesign of the shutter release button and the power switch/drive mode selector. Reminding us of the features of the Leica M10 and CL, the settings on the new model are going to click in place really easy, even when you’re only using your feel and touch. The simple button placement, the compact size, the high quality image results, the versatile prime lens- all of these features explain why the Leica Q-P is in fact a “do-it-all” camera. It comes complete with a carrying strap and an additional battery and its fine brown leather finish doesn’t disappoint. The Leica Q-P stands out with the right balance between performance and handling. It raises up the bar in terms of unobtrusive shooting as a fully featured full frame compact camera. It’s important to mention that the Leica Q-P is far more than meets the eye and its cosmetic changes are actually improving the tactile feel and the ergonomics altogether. Refined and honed from start to finish, the Leica Q-P has a textured matte paint finish which matches the fine quality hide of the brown leather carrying strap. Thanks to the fast autofocus and easy operation, the Leica Q-P is never going to miss a fundamental moment. Versatile and subtle, the new model is going to help you capture the perfect shot no matter the event. Whether it’s a sport event, a music concert or a photojournalism session. The trailblazing camera design works great with the high-performance abilities of the full frame sensor in this compact camera. The handling is intuitive and easy. You’re going to be able to get maximum image results thanks to the 24megapixel full frame sensor and fixed Summilux 28mm f/1.7 ASPH lens with aperture and manual focus ring. The Leica Q-P comes with a smart distance guide that slides into place when using the macro mode. The built-in high-resolution 3.68 megapixel EVF is going to help you get in control at any moment. The 3” touchscreen LCD is responsive and the camera comes with 1080/60p video recording and 10fps continuous shooting. Let’s not forget to highlight the burst shooting speed and the fast autofocus so you’re going to be ready to shoot in any moment. The body is strong and has the traditional durability feel to it. It’s made in Germany and it’s machined from a tough block of aluminum. The list of features continues with the built-in Wi-Fi module for remote control and also digital transfer of still pictures and video to your very own smartphone. You may use it with the new Leica FOTOS App on both iOS and Android. Even though it doesn’t come with the iconic Red dot on the front, the elegant script engraving on the top plate is going to help you forget all about it. 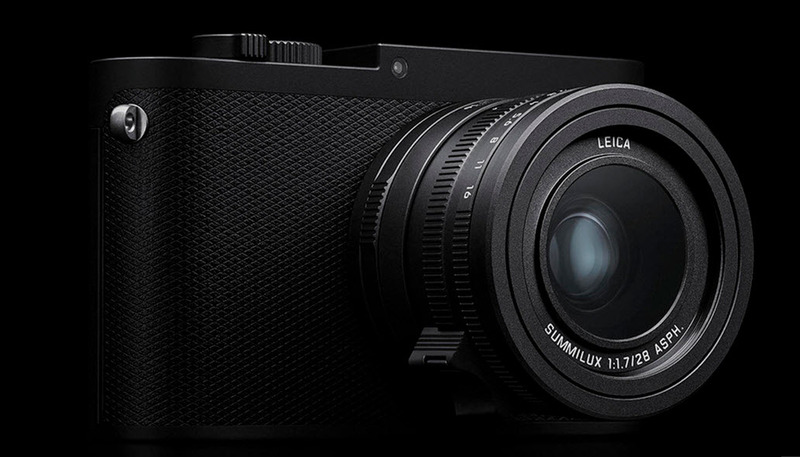 The price is an impressive $4,999 and we didn’t expect any less, considering it’s Leica.